Trump: Should I Stay or Should I Go? Facing the challenge of a meeting with North Korean leader Kim Jong-Un which is more than a photo opportunity, Donald Trump has given himself an exit route. Speaking on Wednesday, Trump told reporters that he would walk out of discussions or even scrap the meeting, tentatively planned for late May or early June. 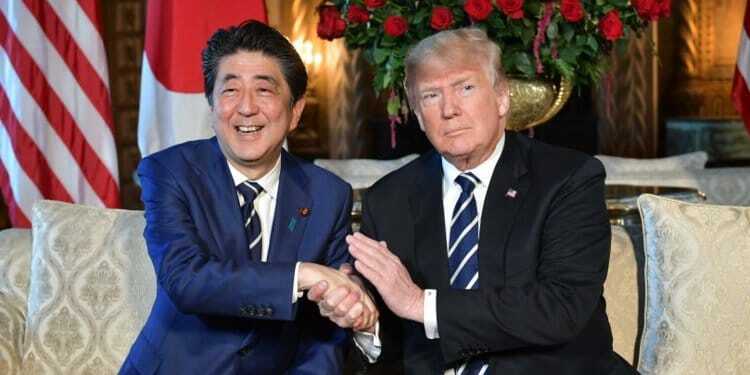 It was unclear whether Trump’s statement came from wavering over talks with Kim which might challenge the US position on issues such as North Korea’s nuclear program, or whether he was playing to Abe, who has urged a tough line with Pyongyang. On Tuesday White House officials confirmed — after Trump bragged about “high-level” contacts with the North Koreans — that CIA Director Mike Pompeo visited Kim in North Korea to discuss matters such as the location of the summit. But the Administration is not even close to a date or site for the encounter. The White House has backed away from any meeting in the Demilitarized Zone between North and South Korea, let alone North Korea. Instead, US officials are floating ideas such as an American location — likely to be a non-starter for Kim — and countries such as Singapore, Vietnam, Sweden, and Switzerland, all of which could be a challenge for old North Korean aircraft. Setting up another hurdle for the meeting — and/or trying leverage for an advance — Trump said an obstacle is the detention of three American citizens in North Korea. He said the US is “fighting very diligently” to obtain their release and that there was a chance of positive developments. Some former Administration officials expressed surprise that Pompeo returned from Pyongyang with no steps from Kim such as the release of the Americans — — Kim Dong-chul, Kim Sang-duk, and Kim Hak-song, all charged with espionage. Trump did not call for any other concessions before the meeting, notably avoiding the demand for North Korea’s denuclearization. NextCan “Citizens UK” Bring Effective Social Change in the Community?